As a simple rule, if you are getting threatening phone calls, text messages or emails demanding payment from a government agency, or offering you free money, it’s likely to be a scam. They are increasingly sophisticated – read below about how they can make their phone calls appear to come from genuine ATO numbers. If you receive a demand for payment please either check your MyGov account or contact us so that we can check the ATO tax agent portal. Read below for more details. Scammers are sending SMS messages pretending to be from medicare and telling people they are owed a rebate of over $200. The text encourages people to click a link to a website and share their personal details. If you have received an SMS like this, please do not click on the link or repsond to the sender. You should report it to Scam Watch and delete the message/block the number. There is a rise in reports of scammers pretending to be from the ATO and claiming that there are outstanding tax debts. They threaten people with arrest if the debt is not paid immediately. Never call a scammer back. Hang up immediately and if there was any doubt, phone the ATO on 1800 008 540 to check if the call was legitimate or report a scam. These emails often have a link that provides an invoice with fake payment details or infects your computer with a virus if you click the link. 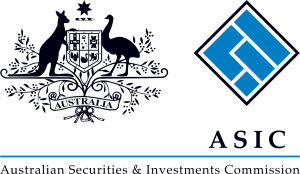 ASIC will only issue a renewal notice 30 days before your renewal date. You can also search for your business name on the register and if it’s outside of the 30 days, it is probably a scam.